He took Nandhiji through the awakening death experience. Bhairava Sekarswamy set Nandhiji on the path of a yogi by kindling the inner fire of bliss and joy through this initiation. This awakening to the inner fire led Nandhiji into the inner journeys of uncovering more and more of bliss as a yogi seeking the expanding consciousness. 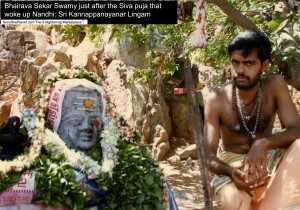 Bhairava Sekarswamy continues his own deep spiritual practice and several dharma works such as feeding the pilgrims every full moon night, taking care of animals, especially dogs among other activities. 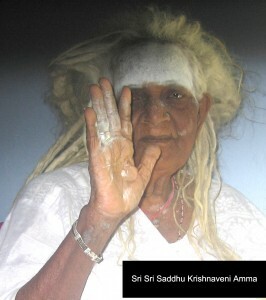 Saddhu Krishnaveni Amma, the lady saint who meditated for over 65 years in her cave in Kalyana Thirtham, South India. It is hard to imagine how this saint lived all by herself in a cave that is today a tiger sanctuary. Siddhar Rajaswamy opened the mystical doors of Siddhar tradition to Nandhiji just after Saddhu Krishnaveni Amma took Nandhi into her fold. 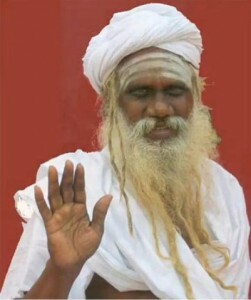 Siddhar Guru Rajaswamy connects his ancient lineage of the Siddhars with Nandhiji. Siddhar Rajaswamy is a living master carrying the traditions going back to Siddhar Bhoganathar. His powerful teaching is in the example doing constant service for the society- feeding the hungry, looking after the tribals, re-instating old temples etc. 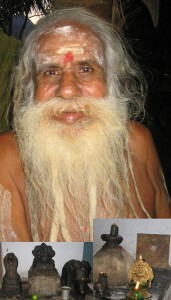 His daily prayers and fire rituals are for uplifting humanity as consciousness. One of Siddhar Rajaswamy’s teachings is- by invoking the Divine Masters and serving the intent of Consciousness, we become the Master. 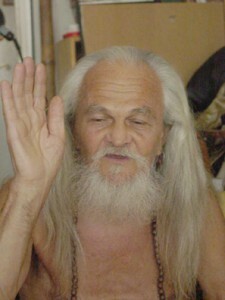 Siddhapurush Baba Nataraj is a humble master who walked the length and breadth across USA several times, as a pilgrimage. His radiant presence of harmony is such that wild birds sit on him unafraid. He has been Nandhiji’s Guru in Santa Monica, guiding, teaching and unveiling for Nandhiji the deep thresholds of consciousness. He shared his sacred space with Nandhiji every Thursday for many years. Baba continues his tapas in Venice, Los Angeles. 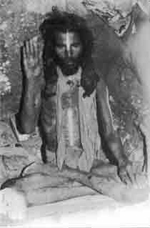 Siddhar Guru Ayya Narayana is the Siddhar Sage who meditated for 18 years atop the sacred mountain of Thiruvannamalai, drinking just a cup of milk each day and not moving while sitting in one single position. He continues to attain one of humanity’s most powerful meditations in the quiet of his secluded village near Kanyakumari. He ventures out of his meditative solitude once a day to bless the few who seek his spiritual guiding grace. 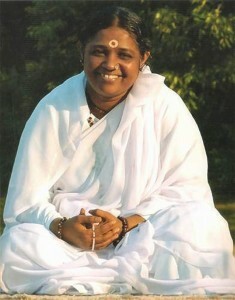 As a living Master, Ayya is one of the major custodians of humanity’s consciousness as he continues to mediate. As Nandhiji’s Guru, Ayya guides Nandhiji through the mastery of the inner realm and the external realm of purpose.